If you are seeking electrical alterations from an additional electrical socket outlet to a full rewire Fortnum’s is your local friendly electrical contractor. 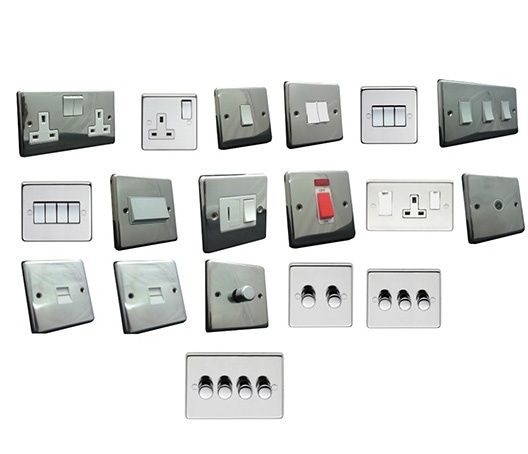 We can simply replace a wall switch or undertake a full rewire all to the highest standard. Our electricians are all trained to conform to the very latest of standards. We will register all appropriate work with ELECSA in accordance with Part “P” of The Building Regulations. ELECSA will then send you a certificate for any registered electrical work normally within 28 days of Registration. We have been registered with ELECSA since the new Regulations came into force on 1st January 2005. We have an annual inspection by ELECSA to confirm we have all the correct equipment, insurance and qualifications necessary to undertake electrical work to the highest of standards.